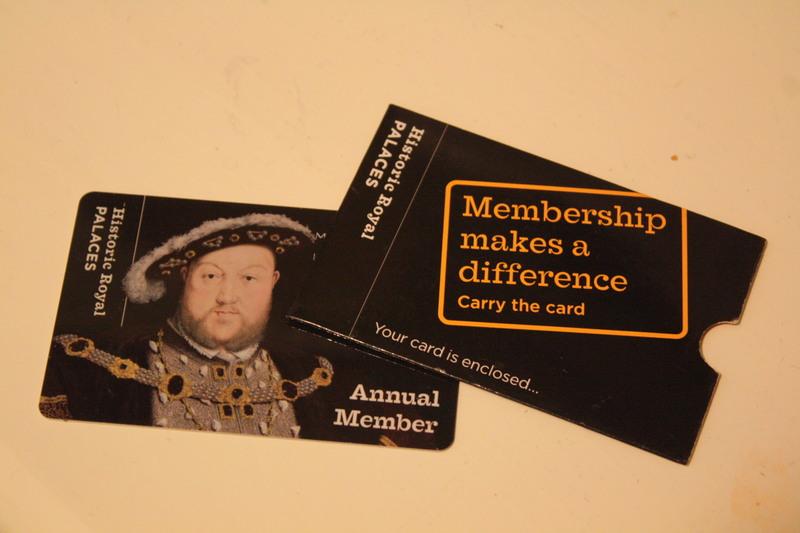 Now that I’ve visited all five of the properties covered by my Historic Royal Palaces membership, I thought I’d rank them (as promised after my Hampton Court visit last week). I based my rankings not only on my personal enjoyment, but on how I see their value for other tourists. Take everything with a grain of salt, though; everyone’s preferences are going to be different! 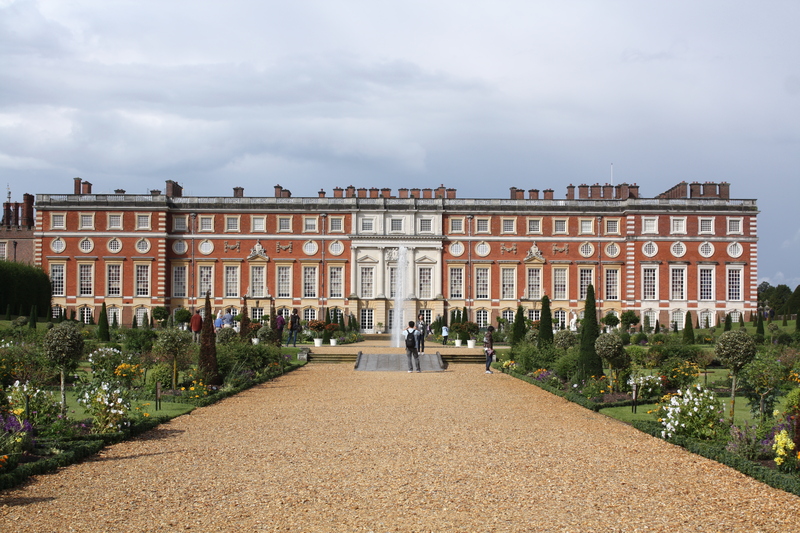 Hampton Court Palace – I thought long and hard about whether or not this one should be first, because I had a great time here, too. Part of that was due to the fact that I was with a friend of mine, which was a nice change from solo sightseeing, but part of it is definitely the Palace itself. It’s gigantic, and (like the Tower) there’s plenty to see. 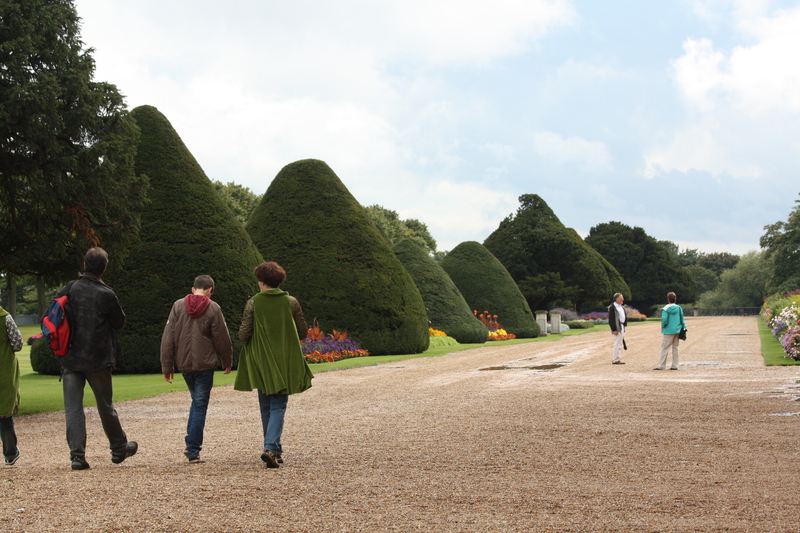 If you like the Tudors, it’s an even better place to visit. There are more places to get in out of the rain, and there are a few good eating options in the town surrounding the palace. It DOES require a short train ride to get there, and the trains only come once every half an hour. That can seem like an eternity if you’ve gotten used to waiting only 1 to 5 minutes for The Tube, or you’re on your way home at night and it’s cold. Kensington Palace – It almost seems unfair to put this one in the middle of the pack, because it was well worth a stop, too. Most of it is closed for renovation/restoration right now (I mentioned that after my visit), but the rooms that are open are beautifully decorated. Plus, the princess-themed scavenger hunt/guessing game is pretty darn fun….even if you’re a grown up. Due to construction, it can be tough to get a pretty picture of the exterior of the place, and it can feel a bit cramped since the open rooms are limited. It’s also not QUITE as good for shopping purposes as some of the others are. I wish I could see Kensington Palace when all the work is done; I doubt it would change my rankings, but it would be nice to have a clearer picture of what the place can offer at full strength. Banqueting House – So…the main draw here is the Rubens ceiling. It IS pretty fantastic to look at….but it’s not just the main draw, it’s the only draw. Banqueting House is really just one room, and other than its easy to find location (on Whitehall in central London), there isn’t much else going on here. You can have tea and cake, but if you’re not into that, there’s not much else to do other than look at the ceiling and leave. I have to say, though: Banqueting House has THE NICEST PUBLIC BATHROOMS that I’ve seen anywhere in the city. Seriously; they’re tiny but beautiful. Kew Palace – This one was small as palaces go, and felt more like a lived-in house than a fancy royal residence. I liked that; it was easy to picture the place in regular use. The guides are in costume, and really seem to enjoy what they do. It takes quite awhile to get out to Kew, though, and I THINK you have to pay to get into Kew Gardens in addition to paying admission to the Palace (if you don’t have an HRP membership). That wasn’t a big deal for me, since I was going to the gardens anyway, but the expense could add up. Well, that’s that! 🙂 My membership card has been more than worth it so far. 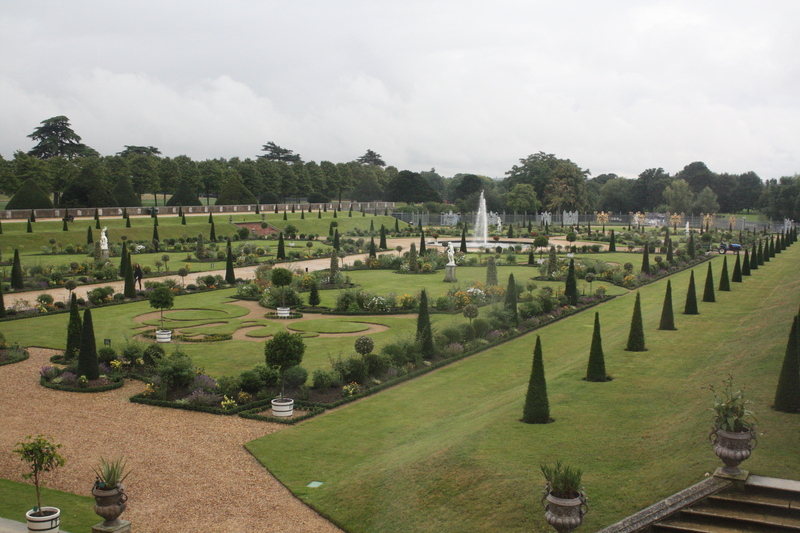 I doubt I’ll make it out to Kew again, and I’m on the fence about traveling out to Hampton Court a second time when there’s so much to do in the city, but I definitely foresee future visits to the others before I leave London. 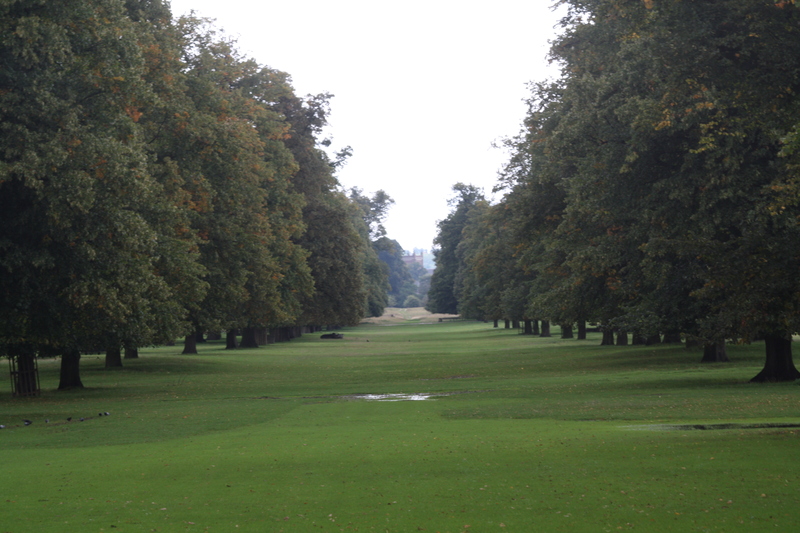 The palace is about half an hour away from central London by train. It’s a very cheap ride, especially if you have an Oyster card, and well worth the trip. 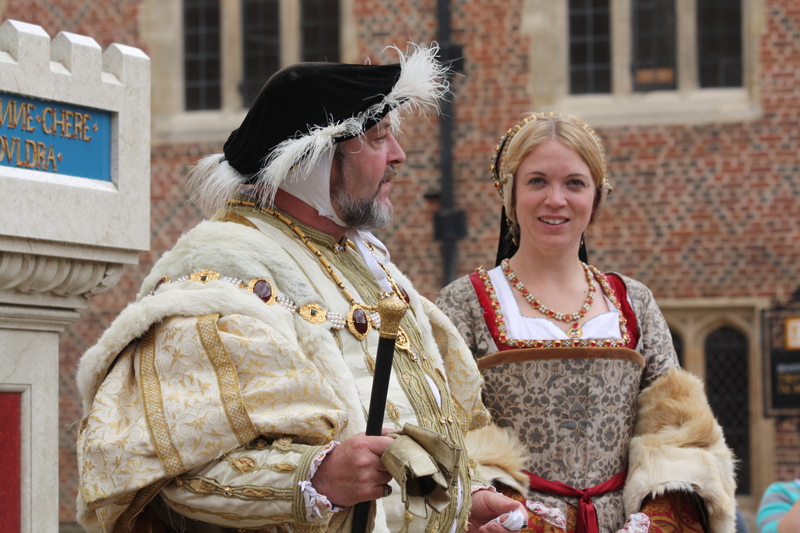 It’s also well worth the trip if you’re at all into England’s Tudor Kings and Queens, particularly Henry VIII and his six wives. Hampton Court is a BIG palace….the view in the picture above doesn’t really show that, but the official website has an aerial view that does: http://www.hrp.org.uk/HamptonCourtPalace/planyourvisit/default.aspx. It was home to Cardinal Wolsey before Henry VIII decided he needed it more. All six of his wives lived here, and Jane Seymour even died here after giving birth. Supposedly, the ghost of Catherine Howard (wife number 5) can still be seen/heard running through parts of the palace, screaming. I can’t confirm this from personal experience, unfortunately. 😛 All three of Henry’s surviving children (Mary I, Edward VI, and Elizabeth I) also spent time here; Edward was christened in the AMAZING chapel located inside the palace (as with many of the old churches over here…no photography inside). There are other monarchs who’ve had some association with the palace (William III and Mary II, both Charles I and II), but they almost felt like an afterthought. This is a Tudor Palace through and through! That’s all for now, folks…it’s after midnight here and I should probably wind down for the evening. Now that I’ve visited all 5 HRP properties, I think a blog post ranking them just might be in order. Look for that soon!